A science building under construction at the University of Lyon in France caught on fire after three gas cylinders on the roof of the building exploded. Three students were slightly injured, French officials told ABC News. The incident is not being treated as terrorism, French officials have confirmed. The school facilities have been evacuated and firefighters are at the scene. 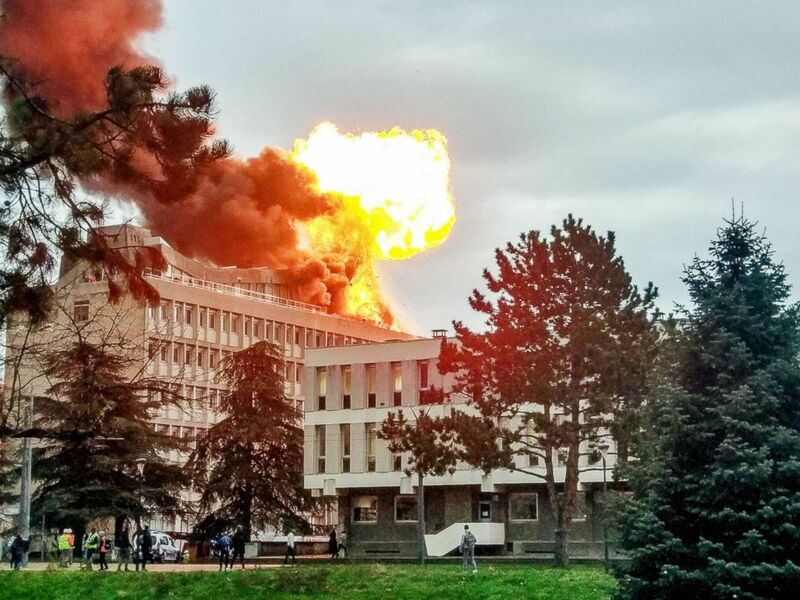 This picture taken on Jan. 17, 2019, in Villeurbanne near Lyon, France, shows an explosion on a rooftop of La Doua University Campus. Authorities believe an accident set off the explosion as the building was undergoing construction work. Video of the incident shows the building engulfed in flames before the explosion is heard. ABC News' Rym Momtaz contributed reporting for this article.